I purchased a new faucet/shower combo last week with the intention of installing it before the weekend and any guest came aboard. I ended up going out drinking and then having guests aboard anyway instead. If they wanted to take a decent shower, they were going to have to use the marina showers. Whatever. Now it's Tuesday, and I decided to get cracking. I'm pretty sure I have what I need to get started, so I shut off my water pump, open all the other faucets to release the water pressure, and start pulling the old apart and out. Right away I see the first problem. 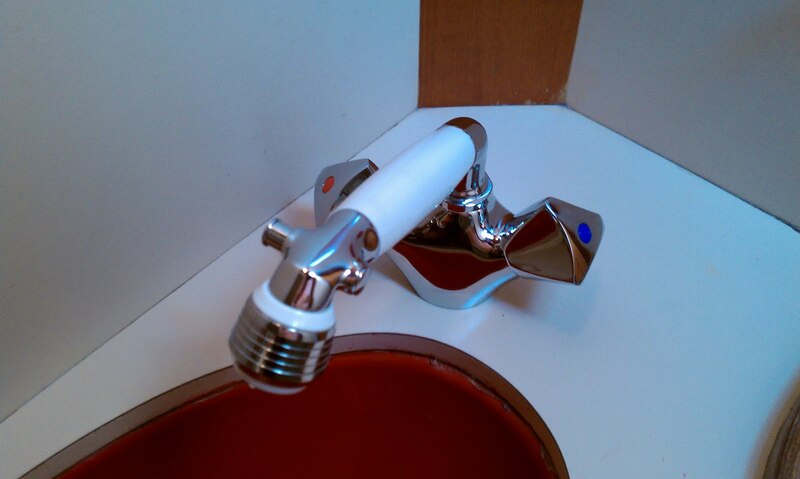 The brass fittings beneath the old faucet are more than twice as long as the ones on the new faucet/shower. The water supply hoses won't reach. I'm going to need to get some more hose and attach extensions. Also, it was time to take a break to pick up more beer and some Chinese food. But first, I take another look to see if I will need anything else before this job is done. 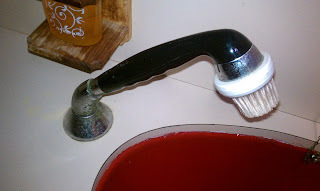 Good thing, too, because I noticed that the new faucet isn't quite round where it passes through the countertop. 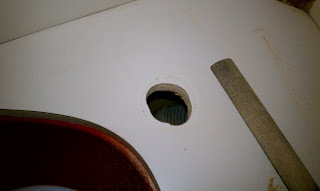 I need to pick up a half round file to make the hole the right shape. Now I need to make an extra stop.